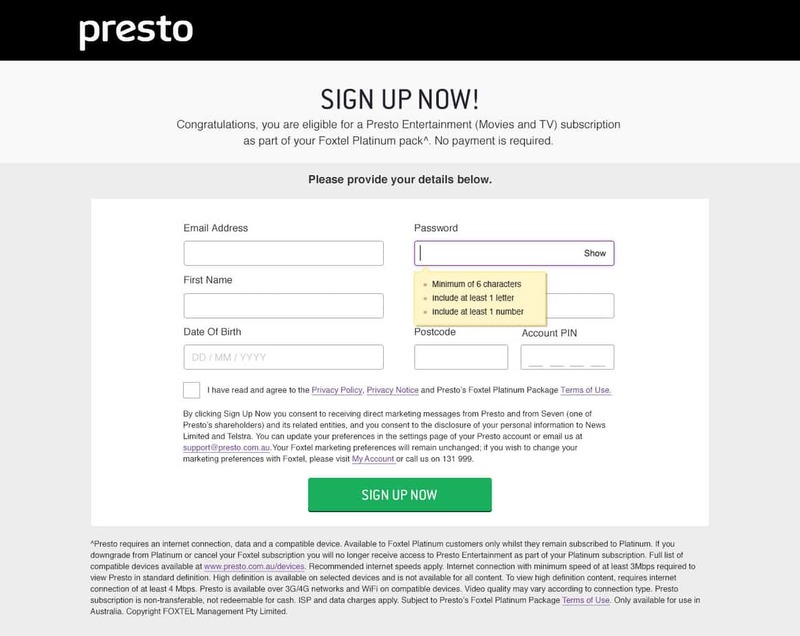 Presto is an online streaming service that allows Australians to experience 1000’s of hours of ad-free TV shows and endless movie entertainment. 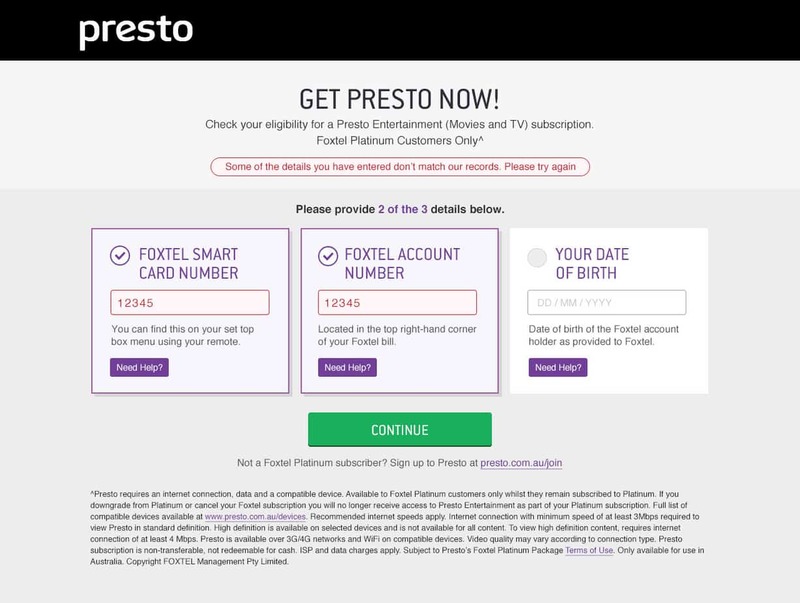 In 2015 Foxtel Platinum customers were granted with a free subscription of Presto as part of their current package. 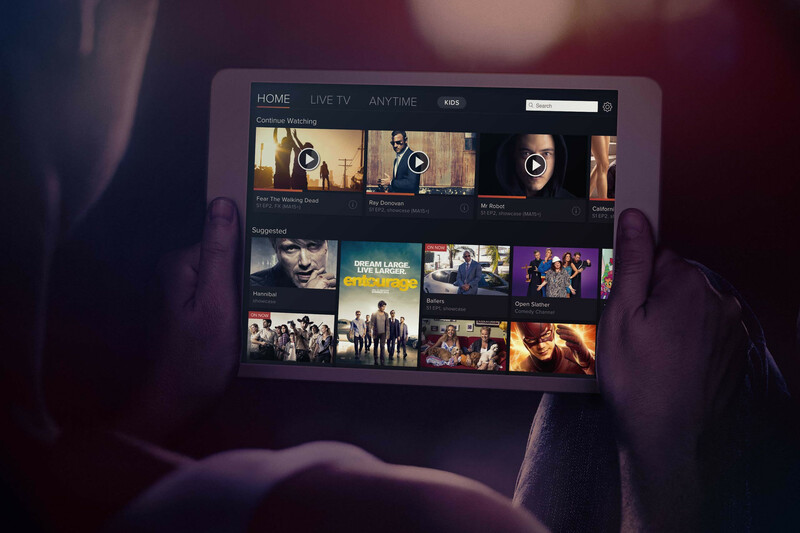 The CX team at FOXTEL was assigned with the task to deliver a signup for those customers within a very tight deadline! Weekly stand-up meetings with the Presto team to report the progress and capture new tasks/identifying new barriers. Finalising copy with marketing and legal departments. 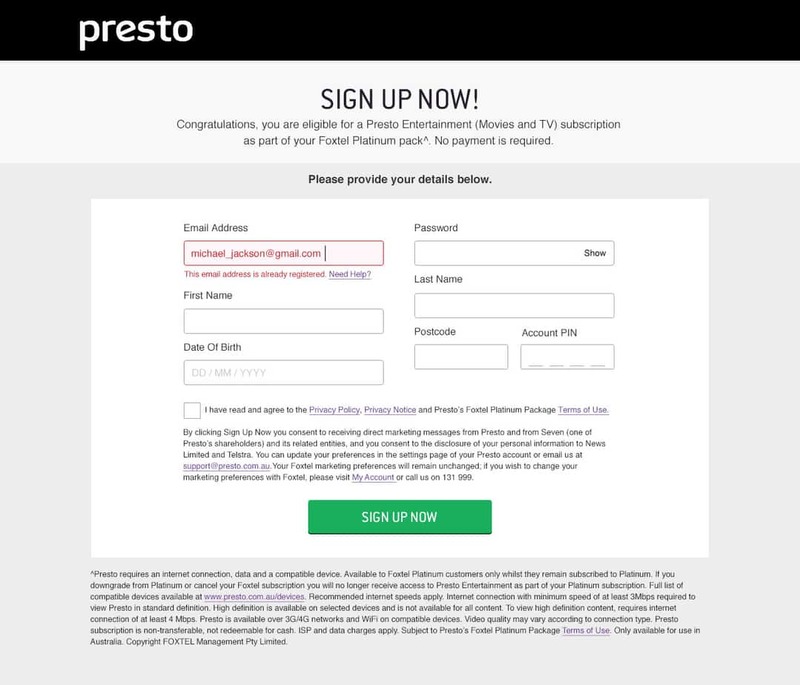 Once users get validated as Foxtel’s platinum subscribers they get redirected to the signup form where their personal details will be gather in order to create a Presto account. 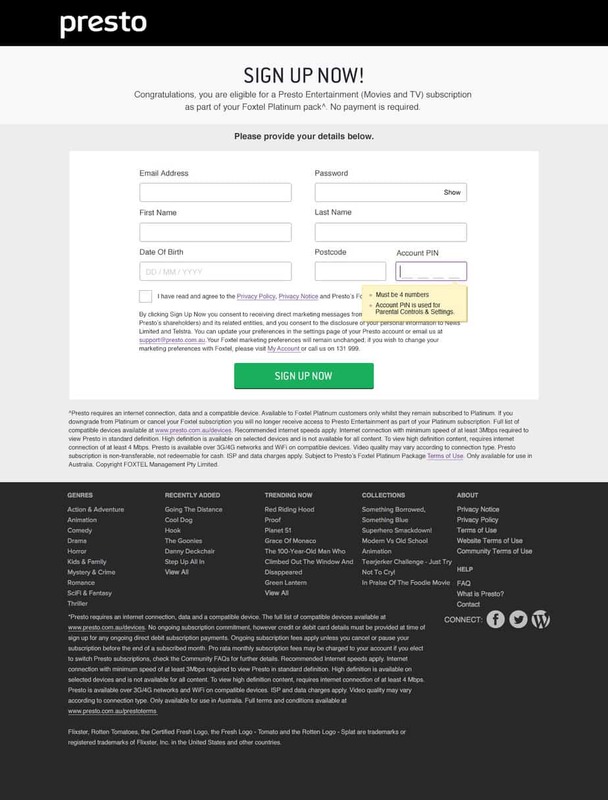 The signup form allows users to create an Account PIN that will be used for parental controls. 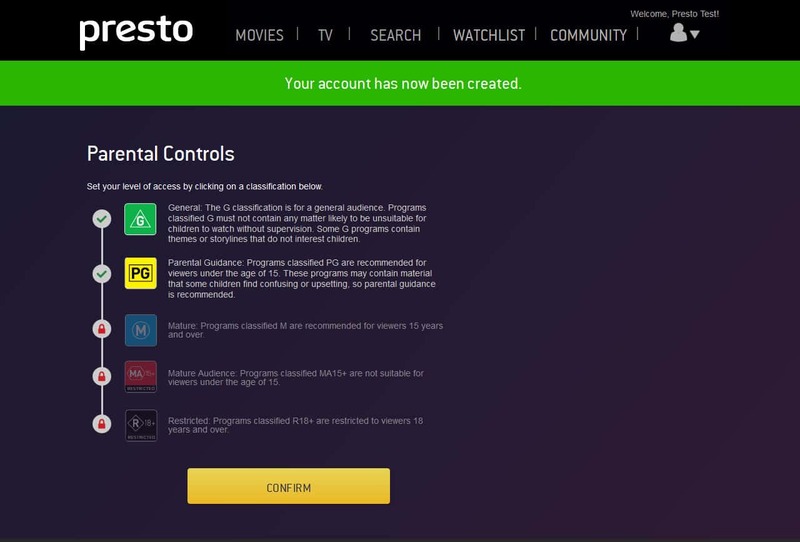 The account is created and users are prompted to configure their parental controls in order to manage the viewing of their families. Error messaging was a crucial part of this project. 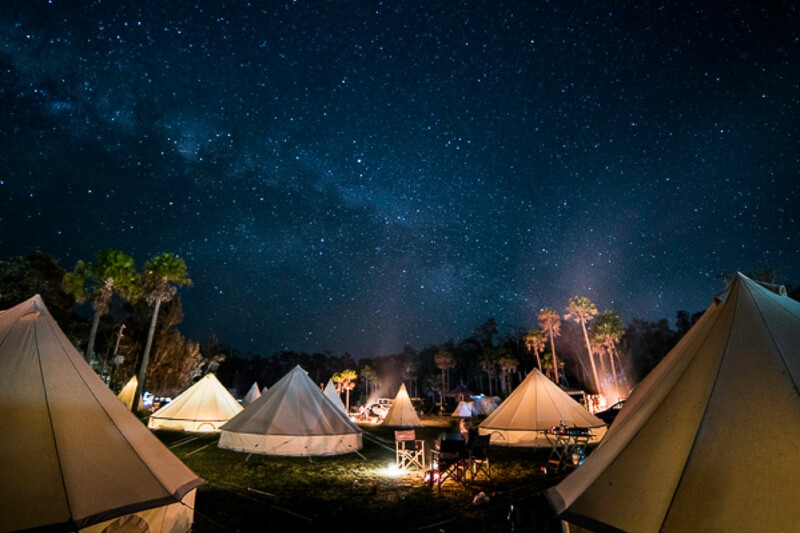 Due to the technical restrictions and requirements that we had to deal with. The interface needed to communicate effectively if there were any errors encountered. 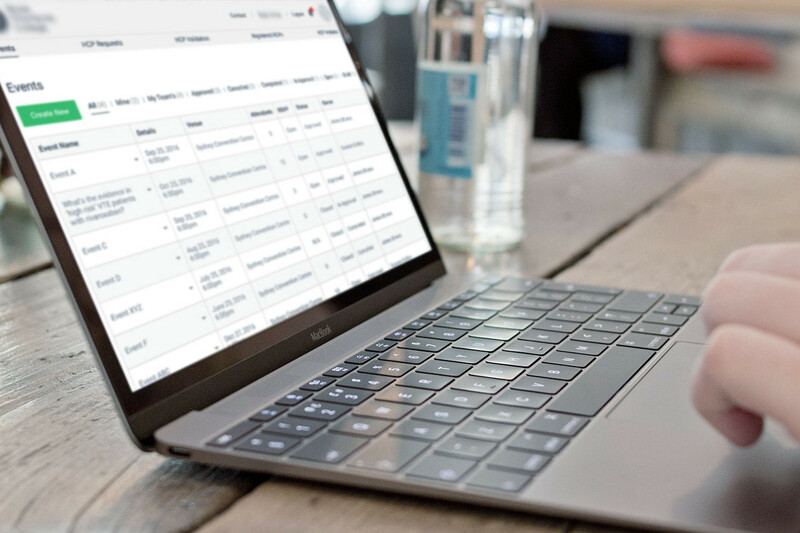 When testing the signup we found that users are very likely to do mistakes due to the complexity of the numbers required in the form. 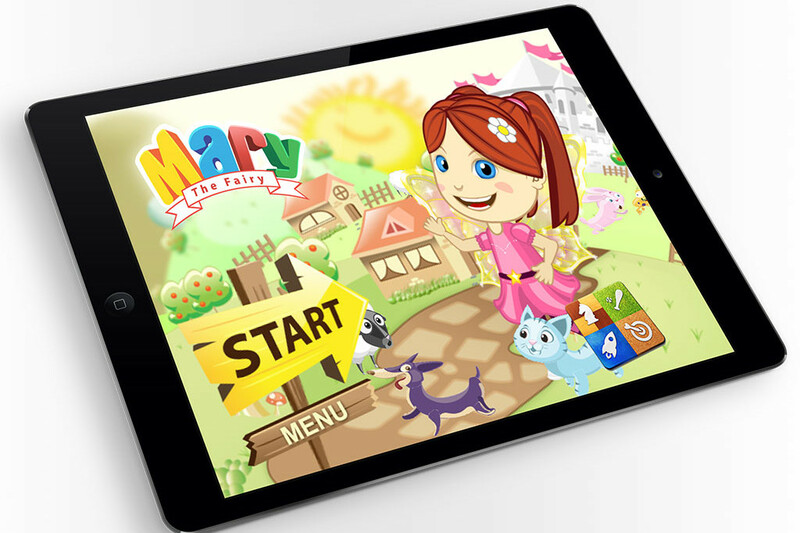 For this reason an inline validation was implemented in order to provide feedback to the user. 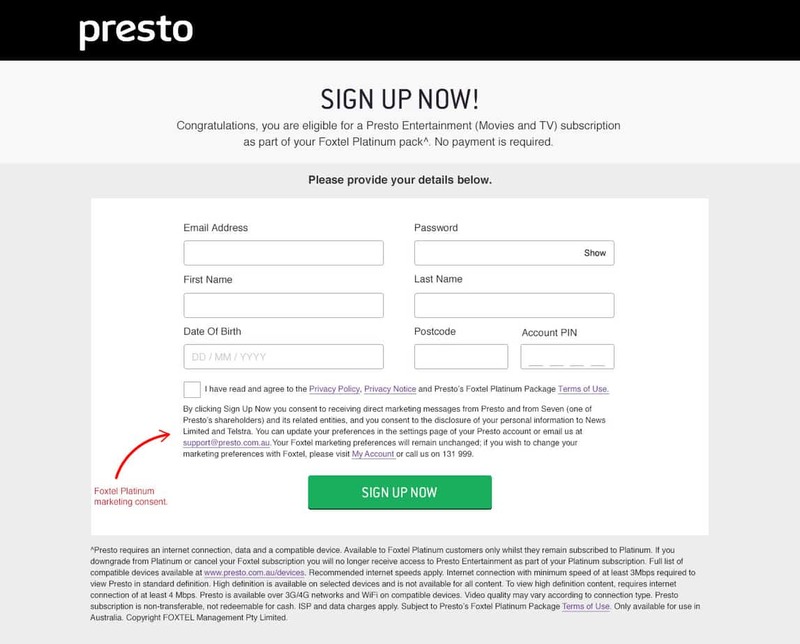 The signup was successfully delivered within a month. 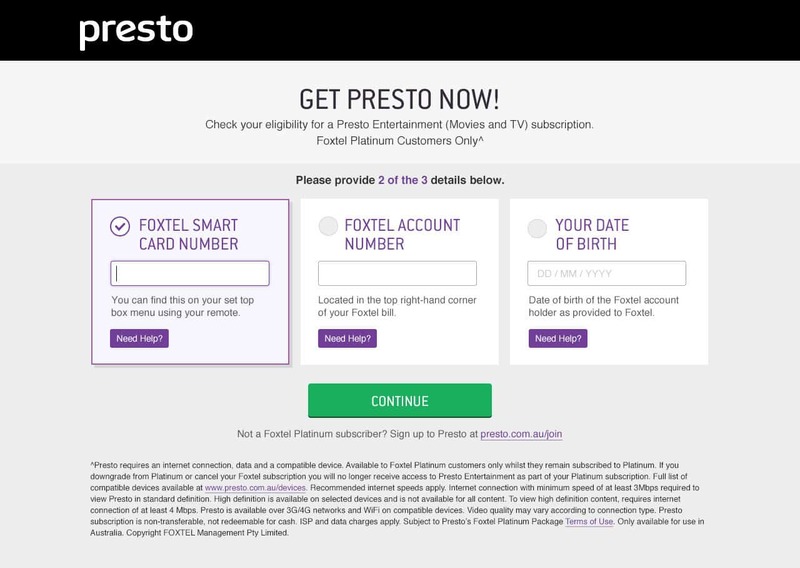 And it currently allows 1000s of Foxtel Platinum subscribers to signup for Presto as part of their Foxtel package.